Famous theoretical physicist Stephen Hawking died recently at the age of 76. 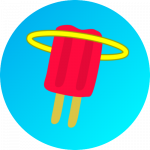 He had been a lifelong atheist, publicly insisting there was no God on several occasions. But did he change his mind soon before he died? And was it because he met Pope Francis? 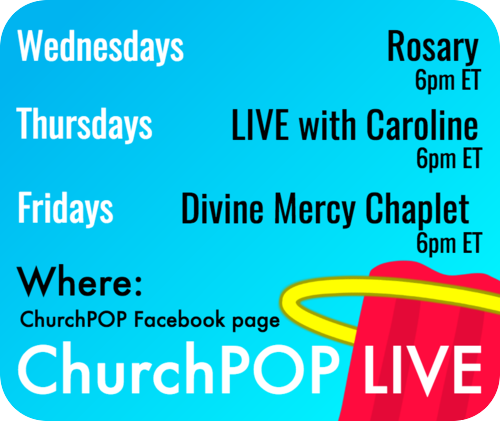 That’s what a semi-prominent Catholic Facebook page Catholics Online (175k Likes) is claiming. 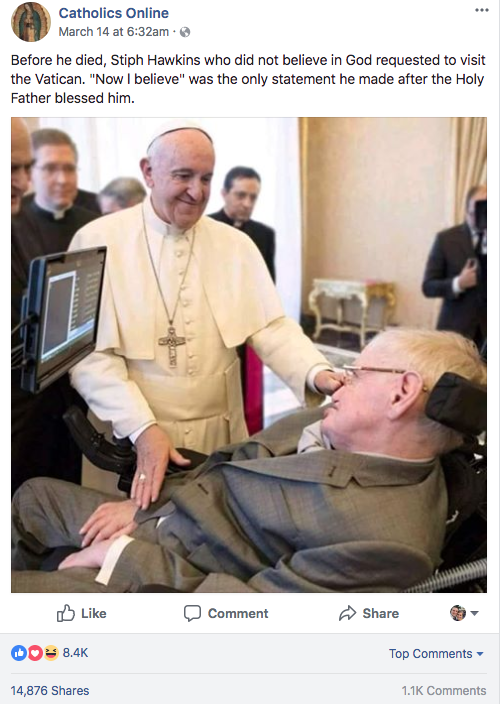 They recently posted a picture with a description claiming that Hawking changed his mind about God after meeting Pope Francis. The post reads: “Before he died, Stiph [sic] Hawkins [sic] who did not believe in God requested to visit the Vatican. “Now l believe” was the only statement he made after the Holy Father blessed him.” Notice that the post misspells the name of Stephen Hawking. As of this writing, the post has around 8.4k reactions, 14.9k shares, and 1.1k comments. There’s only one problem: the post is completely made-up. It’s fake news. 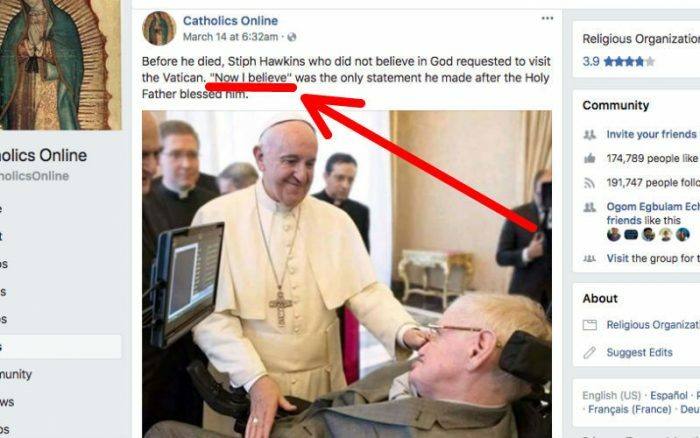 First, Hawking didn’t “request to visit the Vatican.” The picture is of his meeting with Pope Francis in 2016 during a regularly scheduled meeting of the Pontifical Academy of Sciences, of which he is a member. Second, the claim that following that meeting he said “Now I believe” is just made-up. There are no reports or records of him saying that. We as Catholics have a particular responsibility to not lie or intentionally spread falsehoods. It’s contrary to the 8th commandment, and against the very nature of God, who is Truth itself.